This past weekend I had the opportunity to join my friends at Operation Gratitude as they passed their millionth care-package milestone--a significant accomplishment for this organization that does so much to give back to the men and women of our military. I've had the opportunity to work with Operation Gratitude for many years, dating back to my time working on veterans issues as Congressman Howard Berman's District Director. Since 2003, Operation Gratitude has sent more than 100,000 care packages each year to our service men and women deployed in hostile regions, to their children and to our veterans, first responders, wounded warriors and their care givers. Care packages filled with snacks, entertainment items and personal letters of appreciation have lifted morale and brought countless smiles to the faces of those who have sacrificed for our Nation. My friend and Veterans Community Action Team (CAT) Chairman, Art Sherman, was given the important honor of laying down a memorial wreath to honor fallen Vietnam veterans at the ceremonial wall exhibit. Another Veterans CAT member, Angel Cuevas serves as Director of Strategic Operations for Operation Gratitude, and I’m excited to continue to work with Art and Angel and our entire Veterans CAT to ensure that LA leads the way on veterans’ issues. It’s been my honor to have been involved with this initiative for many years, now. Thank you to Operation Gratitude’s founder and president Carolyn Blashek for inviting me to participate in this milestone achievement. Cilck here for more information on how you can get involved in our Veterans Community Action Team, or call my Emergency Preparedness Field Deputy, Erik Rodriguez at (818) 774-4330. 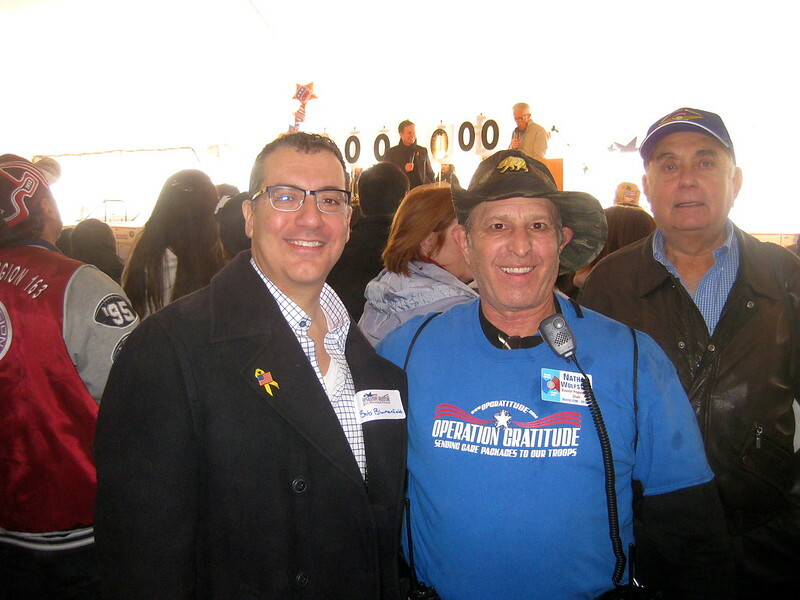 Councilmember Bob Blumenfield with Emergency Preparedness CAT Chair Nathan Wolfstein at the Operation Gratitude Millionth Care Package Celebration. 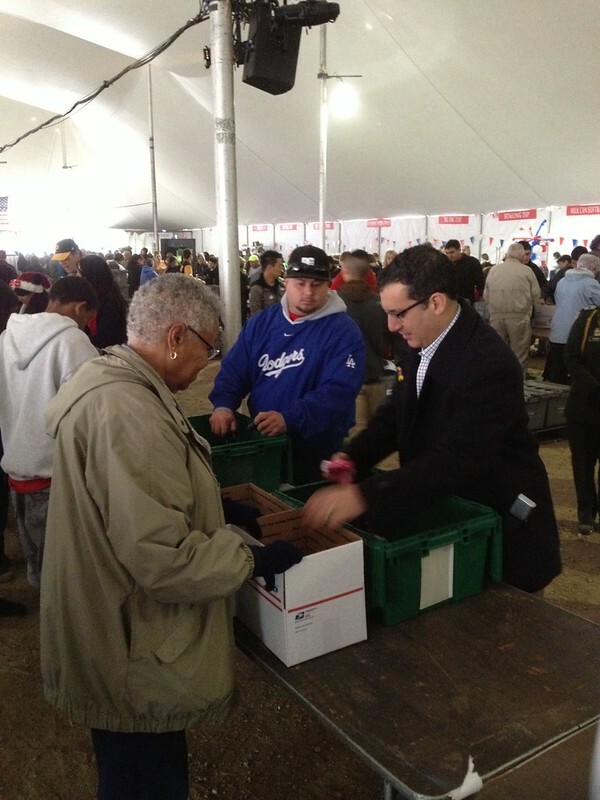 Councilmember Bob Blumenfield assembling care packages for troops overseas.